The idea of “cancelling” celebrities for holding certain opinions, or after finding out something awful they did in their past, has been about for the past few years now. This has only expanded via internet culture jumping on anything and everything as soon as it can. Switching from one controversy to another, as the never-ending news cycle continues on and on into oblivion. Now obviously, there are plenty of figures who fully deserve their internet “cancelling”, names like R Kelly, Harvey Weinstein, Kevin Spacey and so many more immediately come to mind for the malicious acts they have been accused of/charged with – and I say that they deserve to live in infamy, as they are clearly people who have done something wrong, and then never learned any lessons from their actions. 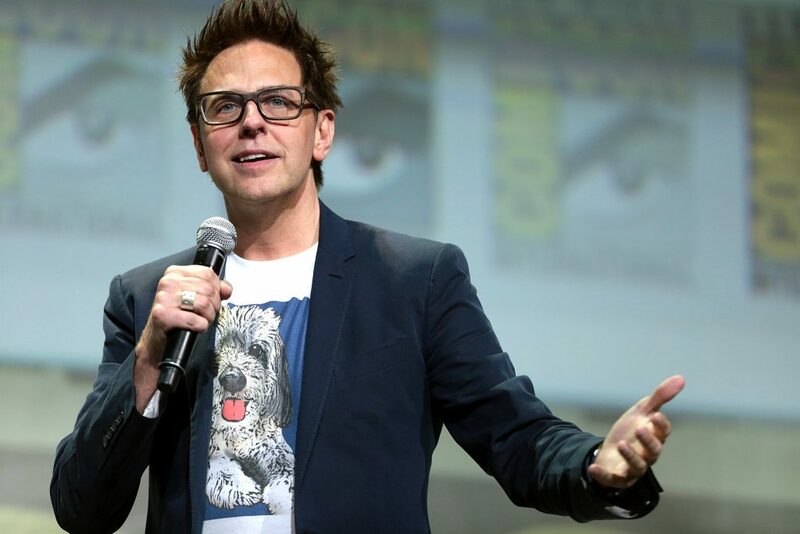 But at the same time, this culture of instantly cancelling everyone and anyone isn’t necessarily justified when the person in question has shown personal growth since the incident happened, and that premise is justified when looking at the case of recently reinstated Marvel director James Gunn. The director of Guardians of the Galaxy fame was fired from directing the third installment of the series after a number of weird, edgy, pedophilic-based joke tweets from 10 plus years ago were dug up by the internet, which eventually led to his firing from Marvel last year. And while the content of the tweets themselves was certainly not right then, and it’s still not right today, it’s important to acknowledge the shift in social norms over the past 10 years or so. You’re kidding yourself if you think our attitudes to certain types of jokes are the same now as they were 10 years ago. Through social justice movements becoming more normalised and publicised, we now know the effects certain things have on more historically marginalised groups in society. As a whole, we move on from offensive humour with the more we understand why it’s offensive to the groups targeted and affected. We are so much more conscious than we were a few years ago. The reason I haven’t “cancelled” James Gunn is because to me, he has clearly grown up, and he’s educated himself. The same person who delivered the Guardians series to our screens is not the same guy making weird edgy tweets trying to get noticed all those years ago. The first-hand testimony from many of the Guardians of the Galaxy crew, like notable social activist and progressive Dave Bautista, who played Drax The Destroyer in the films, attests to Gunn being a completely different person in the past few years compared to who he was on Twitter in 2007. The most important factor here is allowing people to learn from their past selves’ mistakes – if we can’t allow people to learn from and to change their toxic behavioural traits, then they’ll never actually learn anything. Now obviously, there’s a difference here between those who have committed crimes, acts of violence or hatred against women and minority groups in society, and someone who tweeted something bad years ago – for instance, I don’t think a man like R Kelly should be offered the same opportunity for forgiveness and redemption as James Gunn. “Cancelled culture” in my opinion definitely has a lot more merits than downfalls. Mainly, it helps publicise some of the awful things certain celebrities have done in the past and gotten away with, as there was no social media back then, and the people affected didn’t have a platform to voice what happened to them. Indeed, what said celebrities have done in the past was simply forgotten in pop culture – so now it’s vital to acknowledge those who have actually learned from their previous mistakes and grown personally out of their toxic behaviour, even if that group may be in the minority of those called out.